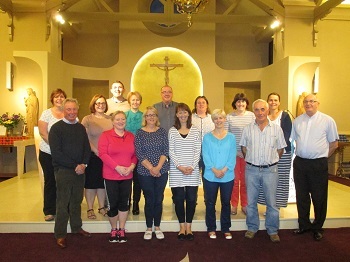 Last evening we completed the formation sessions with the new Parish Assembly in Rath and The Islands. The group nominated Bernadette Davis as their Chairperson, Geraldine McCarthy as Secretary and Declan Tiernan as the Deputy Chair. We wish them well as they take up their ministry for the next three years.